Why should I take a lesson? Teaching skiing and snowboarding is great fun. 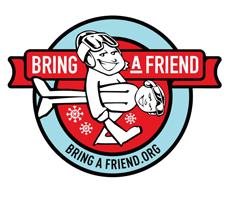 Many resorts hire both part-time and full-time instructors. Part time instructors may be required to work as few as 10 days per season – this varies by resort. 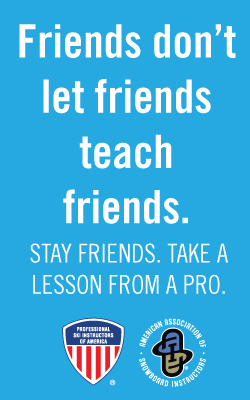 Be an active employee of a snowsports school that conducts a regular program of instructor education and training and/or be a member of a PSIA/AASI – Eastern Division recognized snowsports school. Complete 25 hours of combined in-house training and actual on hill teaching, as attested to by the snowsports school director. The training should include areas of skill and knowledge addressed in the American Teaching System. Be 16 years of age or older, at time of application. Become a member by submitting a new member application and pay dues to the Association. 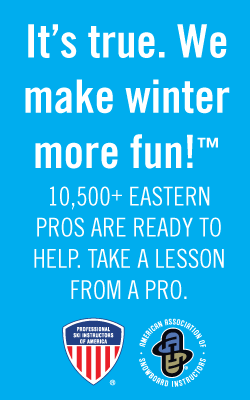 The primary goal of PSIA/AASI – Eastern Division is to provide the tools and events to allow our members to continually improve their snowsports instruction skills.